Client Comments : My family used Ravi India Tours for planning a recent holiday in India. I am from Mexico and I made a four day�s trip through Agra and Jaipur with Ravi India Tours. I can�t stress enough how good this trip was. Ravi Kumar Sasmal was my driver / guide and he was always sharing details and made sure that I got a good service with him and the sites guides I had along the way. He was always upfront about any concern and provided useful dos and don�ts all along the trip. He was always giving that extra mile (literally) to meet some needs and was very receptive. And very important, he was very professional and no surprises for his services. He is always upfront about what you have in your tour. He is a very qualified driver with lots of experience. Don�t be fooled by the few reviews, trust his experience. In a country like India, where moving around is by itself an adventure, having a good driver is always appreciated. Also, I highly appreciate his gesture of opening the doors of his home for me, and letting me share a moment with his lovely family. I would not hesitate to contact him in my next trip to India, do the same! Client Comments : Ravi gave us a tour of Rajasthan, it was incredible. Dependable, friendly and cautious driver. Ravi gave us a tour of Rajasthan, it was incredible. Dependable, friendly and cautious driver. Me friends are decided to tour in India, They have searched lot of travel websites. Finally I told my friend about Ravi India Tours, we spoke to Mr. Ravi and got best deal. Its not all about the Money, It is basically the way Mr. Ravi treat their guests, You will really fall in love this guy, Its like you are at your home town. He always do his best which is beyond the imagination. He knows how to taking care of guest. He took keen interest whats your like and dislikes. Smooth riding throughout the tour. We have been his home, met his family, had dinner. My friends took good memories Just because of Ravi. Thanks Ravi for everything. God Bless You Ravi.... From- Piyush Ganguly Mumbai. Client Comments : Namaste! Im Herbst reiste wir vier Frauen durch Rajasthan. Client Comments : Namaste! In the fall, we traveled four women through Rajasthan. Ravi and his team were fantastic, very organised, everything ran smoothly the driver was prompt and planned the journey well. Highly recommended. Comments: Highly recommended. Had a fantastic holiday arranged with Ravi India Tours. Highly recommended. Had a fantastic holiday arranged with Ravi India Tours. Ravi looked after us extremely well and was a good and knowledgeable companion throught the tour. He was courteous and always available if needed. He took us to lots of amazing places and many more not on the itinerary. Nothing was too much trouble, an excellent service. I look forward to our next trip. Thank-you Ravi. 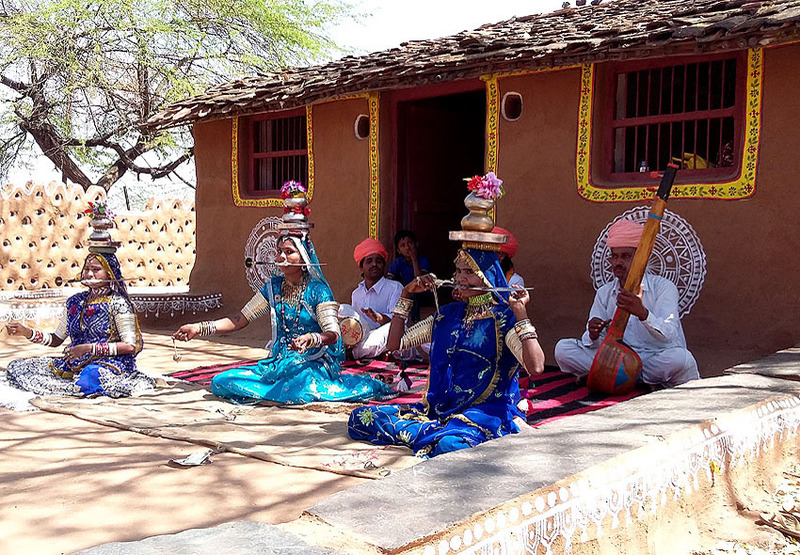 Nous avons pass� une tr�s agr�able semaine au Rajasthan avec Ravi India Tours, toujours tr�s disponible et de tr�s bon conseil. Nous lui soiuhaitons de tout coeur de d�velopper son agence, et j'encourage tous mes amis � utiliser ses services lors d'un prochain voyage en Inde. Comments: Ravi is a very nice person. He knows everything about India and drives very carefully. Comments: I LOVE RAVI - HE IS THE BEST! IV'E BEEN TO INDIA 3 TIMES FOR A TOTAL OF ALMOST 3 MONTHS. I LOVE RAVI - HE IS THE BEST! IV'E BEEN TO INDIA 3 TIMES FOR A TOTAL OF ALMOST 3 MONTHS. THE FIRST TIME I WAS BY MYSELF ON A TOUR THAT I ARRANGED THRU A TRAVEL AGENCY AND HE WAS MY DRIVER FOR THE LAST 3 WEEKS OF A ONE MONTH TRIP. THE FIRST WEEK I HAD A DRIVER THAT I REALLY DID NOT LIKE VERY MUCH AFTER SEEING THE DIFFERENCE WITH RAVI. HE IS SO PERSONABLE, AGREEABLE, AND KNOWLEDGEABLE ABOUT EVERYTHING, INCLUDING HISTORY, HOTELS, GUIDES IF YOU WANT A GUIDE FOR A SPECIAL PLACE, SHOPS, PLACES TO EAT. HE IS A FAMILY MAN - I HAVE BEEN IN HIS HOME, MET HIS WIFE AND CHILDREN, SHARED CHRISTMAS EVE IN HIS HOME AND HAVE VISITED IN THE HOMES OF SOME OF HIS FRIENDS WHICH IS A GREAT WAY TO GET INSIGHT INTO REAL INDIA. MANY OF HIS CLIENTS ARE UNIVERSITY PROFESSORS FROM THE U.S. AND EUROPE AS WELL AS SOME LADIES GROUPS (YOUNGER AND OLDER) AND COUPLES. HE IS A GOOD CONVERSATIONALIST ABOUT WORLD AFFAIRS BECAUSE HE HAS GREAT EXPOSURE TO INTELLIGENT PEOPLE FROM ALL OVER THE WORLD. MY SECOND TRIP WAS WITH A GIRL FRIEND AND MY THIRD TRIP WAS WITH MY HUSBAND. THEY WERE EQUALLY IMPRESSED WITH RAVI. *** IF ANYONE HAS ANY QUESTIONS, PLEASE EMAIL ME! Comments: We had a fab 3 week holiday with Ravi in India in October. We had a fab 3 week holiday with Ravi in India in October. Our friends the Perlins from the UK who recommended him have since returned back for a second holiday touring a different part of India. If you thinking of touring Rajastan / India we would both thoroughly recommend that you can contact Ravi direct for a holiday quote. Ravi Kumar Sasmal is happy to tweak his suggested itineraries so you see the parts of India you want to go to. We have just returned home from a memorable14 day Rajasthan tour experience organized by Ravi Kumar Sasmal from Ravi India Tours.Ravi organized an itinerary to fit our schedule and also gave us accomodation options to choose from.Our driver and guide for the whole tour (Milad) was both patient and careful in road conditions one can only experience to understand travel in India. (We traveled in a Toyota Innova).In each major castle or fort we had an accredited guide waiting for us which made sightseeing personable and seamless without any urgency. We thoroughly enjoyed our India experience and would recommend Ravi from Ravi India tours. Cmments: I booked a 2-day package with Ravi India Tours to visit Dehli / Agra for my wife and I.
I booked a 2-day package with Ravi India Tours to visit Dehli / Agra for my wife and I. He responded very quickly with a professional attitude and helped me feel confident that I was in good hands. Our drive was Mr. Kuber and was very polite, friendly and knew the roads very well. We had a very nice time with him. Ravi even came to our hotel to greet us and introduce himself to us which I thought was a nice touch. We were very happy with the overall service of this company and the rate was very reasonable too. Next time we return to India, I will be using Ravi India Tours again. Client Comments: Ravi is a very nice person. He knows everything about India and drives very carefully. We took the golden triangle tour and it was fantastic. Besides, he is very adaptable. We could arrange the program to our needs which was very convenient. Highly recommended. Comments: Just got back from a 10 day tour of Rajasthan with Ravi. Great driver, very accommodating and good price quality. It was the trip of a lifetime and having a car and guide makes it very flexible and adaptable to any needs. We had a memorable, enjoyable and well-organized 12 days tour in Jan 2016 of Rajasthan with 2 other couples, beginning in Delhi and ending in Udaipur and Mumbai. The customized tour was arranged with Mr Ravi Sasmal of Ravi India Tours. We had a driver and Ravi Sasmal was our overall guide. He was very flexible and accommodating with special requests. He communicated reasonably well in English and was very helpful and useful with local guides in different areas. He was also knowledgeable in historical facts of the places we visited. Without him, we would have some difficulty on the trip. All in all, we were very satisfied with his services and wouldn't hesitate to recommend his company for such tours of India. 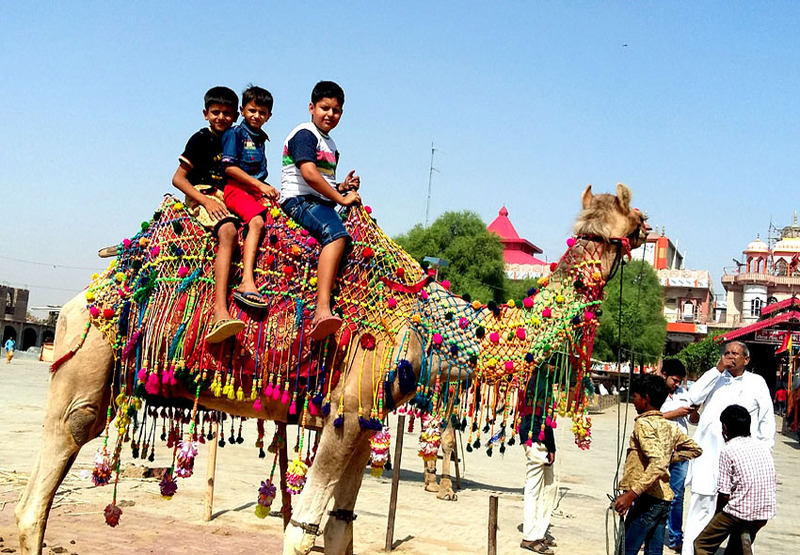 Comments: We where a group of five guys traveling across Rajasthan with Ravi and absolutely loved it. Comments: We had a memorable 12 day tour of Rajasthan beginning at Delhi and ending in Udaipur with RAVI SASMAL (Ravi India Tours) in Jan. 2016. There were 6 in our group and although Ravi Sasmal wasn't our driver, he accompanied us during the whole tour. He was an exceptional guide during our many hours on the road with his wealth of local knowledge and nothing was too much trouble for him. He was flexible and accommodating with our arrangements and was available 24/7 and when necessary, he organized other guides for particular attractions. He is a genuine, caring person and our group enjoyed his company immensely. We would have no hesitation in recommending him to our friends or anyone traveling to Rajasthan. Good luck for the future Ravi! 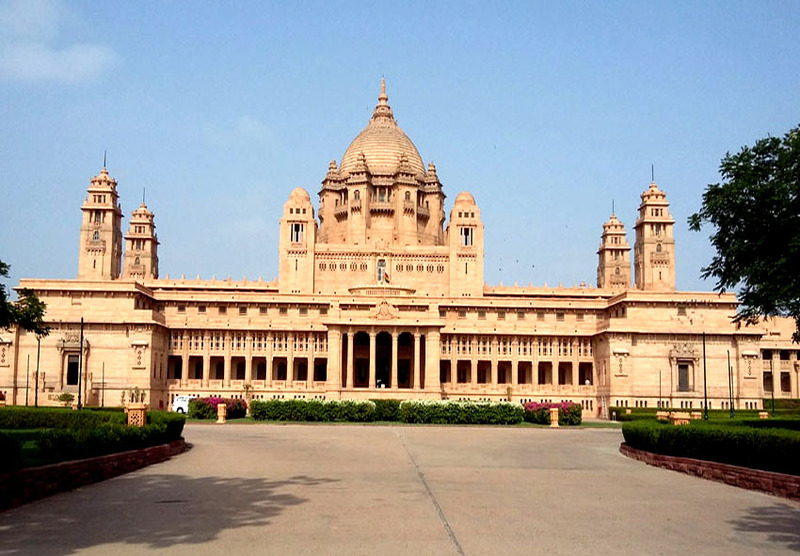 Comments: We had an excellent Rajasthan tour customized and organized by Mr Ravi Sasmal of Ravi India Tour. Although tiring, it was a very enjoyable tour of Incredible India. Ravi was very accommodating to our many requests and we had a reliable driver too in Mr Suresh Kumar. Our friends and I would recommend Ravi to anyone interested in touring India and in someone with good knowledge of the local history. He communicates reasonably well in English. Comments: The tour was absolutely amazing from the beginning till the end. 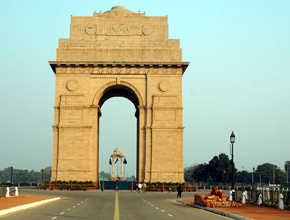 Ravi Sasmal picked us up from Delhi airport and it was a 15nights/16days tour of north India. It was a well organised wonderful trip for my husband and I and Ravi did an outstanding job navigating us through north India. Our experience with Ravi India Tours made the trip more than just a sightseeing tour. We thoroughly enjoyed the concept of independence and flexibility. We could see just what we were interested in at our own pace. Ravi remained available 24/7 and delivered what was expected and much more. Ravi was knowledgeable, helpful and accommodating to all our requests and needs. Likewise, the vehicle was clean,very comfortable and fully equipped with an esky (for drinks and mineral water) and a tray of snacks to go with. There was also a tissue box, toilet paper roll and hand sanitizer. Ravi was always just a phone call away and always right on time. The trip was very well organised around Haridwar, Rishikesh, Delhi, Agra, Jaipur, Jodhpur and Udaipur. They thought of every detail and the tour guides were fantastic and well coordinated. Their suggestions for what to do and where to shop were all excellent. The Agra trip gave us a comprehensive view of the Mughal empire. This trip was a long time coming and yes we did have a really great time. Ravi is an excellent and safe driver with good knowledge of the attractions. He is extremely careful, very helpful and a good English speaker. I completely recommend Ravi India Tours and will certainly use in the future should we wish to go on other Indian driving tours. Thank you Ravi - both my husband and I had the most wonderful holiday. You were kind, genuine and honest and you did your best to ensure we had a great time. Comments: We came from Singapore for a week in Rajasthan. Before we arrive, Ravi Sasmal (our driver) was already helping us on the organization. He is very responsive and very flexible in order to respect your requests while advising you on all the little things you may not have think about. During the trip Ravi Sasmal is always available and dedicated to your travel experience. He let us decide what we wanted to do but was always around if needed. He was an essential part of our trip. It would not have been he same without him. The long discussions on the road were very interesting and gave us a better understanding of Indian culture. If you are still wondering if you should go with him: Do not hesitate any longer: GO FOR IT!!! It was a real pleasure to visit Rajasthan with RAVI SAMSAL . I recommand this excellent and kind driver guide. He is a very thoughtful man , always in good mood . His car is very confortable and clean He know many original address We had a very wonderful trip with you RAVI. This was the most interesting trip up to now after 39 countries visited. Ravi Kumar Sasmal is an excellent driver-guide. He explained us a lot of things about India and he allowed us to visite extraordinary places (someone are not in tourist tours but very interesting). His car is very comfortable and very clean. We recommend this travel to everybody in our surrounding. When i speak about India with poeple generally they are afraid from India because it has a reputation of not very clean . I tell them that it is not so terrible and it is the most interesting country among the 39 countries that we visited. It is really the case I don't say that just to be kind. It was a very great pleasure for us to visit Rajasthan with you Ravi Kumar Sasmal. A lot of thanks again. We wish to you and to your family a very happy and successful Year 2016. We are very-very satisfied and we recommend him to everyone who wants to visit India. Comments: We traveled through Rajasthan with Ravi Kumar Sasmal as our driver. We cannot recommend him highly enough. He was always punctual and tailored the tour to our interest and needs. Even making changes during the trip so that we had the best experience possible. We met his lovely wife Mili and their children Krishna and Siddharth and shared a very tasty and authentic meal with them not once but twice. A keen photographer himself Ravi was only too happy to suggest or find great photo opportunities for us. Again if you want to have a wonderful time in India with a driver who takes pride in ensuring that his guests have the best time possible this is the driver for you. Comments: We had the great hon-our of having Mr Ravi Kumar Sasmal as our driver/guide! He was very know legible of the places we went Jay was a bit sick but Ravi was so compassionate . We can highly recommend Ravi he is a true gentleman was ever ready at our beck and call we cannot fault him in anyway .best wishes Ravi and hope you reach your dreams Thank you. Comments: Ravi Kumar Sasmal is the man we can highly recommend to everybody! My father, a friend of him and I had the chance to use the services of Ravi Kumar Sasmal for a week. We traveled from Delhi in the direction of Sariska National Park. Thanks to Ravi, who is very experienced and knows the environment very well, we were able to see lots of interesting places around the city of Alwar. He told us a lot about the local people, the villages and the history of the region, which always was very interesting. Whatever we wanted to know he could tell us a story about. Once he organized a local guide who walked with us to a ridge of hills with ancient rock-paintings and impressive rock formations. Another day Ravi accompanied us again to a monastery near the Sariska Park. By translating he could help us very much. After our tour he invited me to his home to visit his wife Mili, his son Siddharth, and his daughter Krishna, which was really great. The meal i was invited to was definitely the best food of all the food I ate in the whole week. They let me try a meal with green mango and Khatal (Jack Fruit as a vegetable), which I still dream about a little bit sometimes. With a great sense of humor Ravi Kumar is the man we can highly recommend to everybody. Comments: We would highly recommend Ravi without any hesitations! In early February 2015, my husband and i took a 16 days trip through rajasthan with Ravi India Tours. Ravi just made our trip so memorable. he was not only a professional, but he was totally knowledgeable, honest and reliable. he knew of all the hotels, sights, cities and restaurants. his services were not only excellent, but he really made sure we have seen the little extra in each town. if you want a \'SPECIAL\' tour of this very interesting region, we would highly recommend Ravi without any hesitations. at the end of the trip, we were invited to his home for a meal and met his 2 lovely children and Millie (his wife), who is an outstanding cook. We highly recommended his company this agency if you are planning a tour for India. Comments: A wonderful journey with e excellent driver guide. We two friends from Switzerland recently completed 15 day tour with Ravi India Tours. Started tour from Delhi, Rishkesh, Corbett National Park, Lucknow, Varanasi & Complete tour at Delhi. This company is excellent and provides precisely as advertised. Everything went exactly as scheduled and the accommodation was exactly as described and agreed. We had the benefit of having Mr. Ravi Kumar Sasmal as our driver guide. He was a most professional and above all a safe driver. He was also a very nice man and gave us many insights into everyday life in India as we traveled from place to place. Also he invited two of us at his home for dinner and we meet his nice family wife and two children. Enjoy the great India food with them. His wife Mili cooked very testy India food for us. I would like to recommend very highly this company. Thank you Ravi for a wonderful experience! Comments: Our trip with Ravi was full of wonderful impressions! Comments: "I traveled with my family recently for a 11 day trip tp Rajasthan with Ravi and was really happy how professional he was. Ravi has a charming personality and his extensive knowledge about the local areas and the monuments were really helpful. He took very good care of us and moved well with everyone in the family including my aged mum. I highly recommend Ravi for anyone travelling to Northern India and we are planning a trip soon in the future with him." Comments: Thanks for a wonderful time in India! Dear Ravi, Thanks for a wonderful time in India! What a shame we couldn't stay any longer. You made us want to come back to see more of Rajasthan and the rest of India! Thanks for your services, you made us feel safe and catered to our needs whenever you could. I know we had little time and that we wanted to do a lot even though we were late every morning! So thanks for your patience and for trying hard to make sure we visited all the places we wanted to go to! And thanks for your patience as well after our bank blocked the transfer to your account! Please remain as you are, with your great sense of humour, your genuine kindness and possibility. Good things will always come back your way. We will let you know when we plan to come back and send you some pictures in the new Year. In the meantime, merry Xmas and happy new Year. Comments: We could not have done this without Ravi Sasmal ! We traveled with another family, so in total there were 9 of us including 5 children ranging in age from 9 to almost 14. We certainly would not have had such a fantastic experience if it were not for our great guide, Ravi Kumar Sasmal (www.rajasthan-tour.in). Right from when we first made contact with Ravi and throughout the entire planning stage, Ravi was extremely quick with his responses and very accommodating with the requests and questions we had. On the first evening of our tour we were warmly and graciously invited to Ravi's home to share a wonderful dinner with him and his lovely family. Throughout the tour Ravi continued to be very accommodating, flexible and understanding of our needs. The arrangements with each of the hotels and city guides was very smooth, which is not always easy given the size and make-up of our group. Ravi even organized changes to our stay in Agra which we requested with only a couple of days notice. Sure, there are a couple of other things that I would change, like staying an extra night in Jodhpur and only doing Ranakpur as a side trip instead of overnight, but these are suggestions based on our own experiences and I know Ravi would accommodate anyone wishing to do this. That's the type of experience we had - we were made to feel that this was our own family tour. Overall, we had many memorable experiences and really got to see what an amazing place Rajasthan is. We definitely have Ravi to thank for that. My daughter and two friends recently traveled to Chennai to be members of their friend's wedding party. They took the opportunity to travel independently to Rajasthan and used the services of Ravi Kumar Sasmal www.rajasthan-tour.in/. This man is EXCELLENT! The girls are experienced travelers used to low budget no frills travel because as medical students they travel internationally to work with under served populations (Africa, South America, Borneo, etc) all on a student budget. As a Mom I had some concerns fueled by recent events in the news so I argued for a driver. I knew the girls were on a limited budget and a driver was a luxury but I am convinced that in the long run they saved money by hiring Ravi. They would have had to spend more money on several more stressful days trying to negotiate transportation, taxis, hotels, guides,finding good meals (to avoid Delhi belly) and still not have been able to see as much as they were able to see with Ravi. He also gave them invaluable tips in how to negotiate various situations so they would not be overcharged. They were able to travel safely, comfortably and efficiently with a wonderful driver who they now consider a good friend. He picked them up and delivered them back to the airport. He introduced them to his lovely family making a personal and lasting memory of their trip to Delhi. From all reports he went above and beyond their expectations and was a skilled professional and yet warm, kind and extremely personable. They have traveled extensively and are bright independent young women but they agreed that northern India did pose some unique challenges and they agreed that hiring Ravi made for a better experience especially with their limited time frame. Check out client comment on his web site. He is a real gem! We were two 60-something women in India for the first time and Ravi Kumar Sasmal was absolutely wonderful, looked after us extremely attentively and really made our trip for us. He had made all the arrangements in advance including a four night trip to Kerala after our 15 nights in Rajasthan. From the moment he greeted us at Delhi airport with fresh marigold Divali garlands, everything worked beautifully. Ravi was always on time and immaculately presented. There was always bottled water and tissues in the car. We didn't really know what to expect but certainly hadn't anticipated the fun we would have with Ravi. We really, really liked him and had lots of laughs together. His English is exceptionally good. On our first day he took us to his home to meet his wife, Mili, their children, Krishna and Sidartha, and various neighbours. Mili had cooked a delicious meal for us and it was a fabulous experience and brilliant introduction to India. Although driving in India is a little scary for UK residents, at no time did we feel unsafe with Ravi � he really knows what he is doing. Although we had excellent guides (organised by Ravi) at the major attractions, Ravi's knowledge is good and what was particularly noticeable while we were en route was that he understood the kind of things that were going to fascinate/amuse us and seemed as enthusiastic as us about ladies carrying pots on their heads, overloaded camels etc. On three occasions he took us �off piste� and we experience real village life and an authentic tea ceremony: these were moments to be treasured. The places he took us to eat were obviously clean because we had not the least touch of illness the whole time we were there and brought home unopened the copious supplies of Immodium we had taken with us ! We can't recommend him highly enough and can't imagine having had a better experience. If we could return to India today to do it all over again, we would jump at the chance. 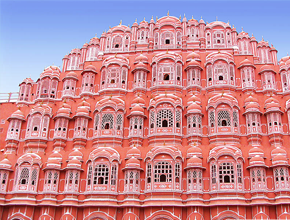 Check our Ravi's website at http://www.rajasthan-tour.in . The client comments are genuine and speak for them selves. We highly recommend Ravi India Tours.................!!!!!!!!!!!! We would like to express our sincere thanks for the wonderful service during our tour to Delhi and Agra. We were met at the airport in Delhi and driven to Agra in a very comfortable car and the driver was friendly. Once in Agra, we were met by our tour guide, Vikram, who took us to the Red Fort and the Taj Mahal. He was incredibly knowledgeable and interesting and we felt lucky to have him guiding us. Upon returning to Delhi two days later, we spent the day with Ravi getting a quick tour of Delhi. We had very little time but he was able to give us an overview so that we know where we want to spend more time the next time we go back. Ravi is professional, friendly and speaks excellent English. He was communicative via email leading up to our arrival and often checked to make sure all was well. 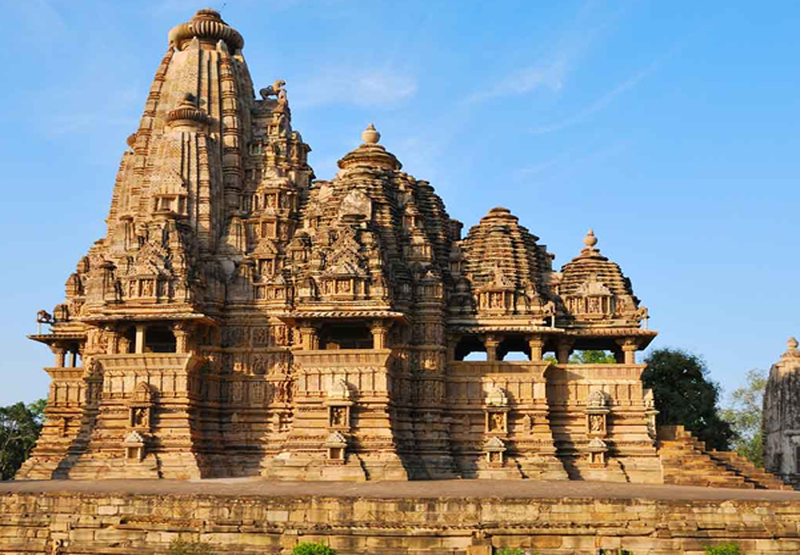 We highly recommend Ravi India Tours. We would like to thank you for a wonderful tour! The Rajasthan-tour.in he arranged for me and my friend was awesome and very interesting. He showed us the best places and we had a great time together. His warm and charming character always let us laugh, he has a good \"Witz\". The next time I\'ll visit India, I will for sure book Ravi Kumar Sasmal again for a North tour from Delhi on. I really had a an excellent experience in India. Comments: I must say Ravi Kumar Sasmal is the most reliable travel agent I could find in India! I have been fortunate to travel in Europe, Asia and USA. This was my 6th trip to India. I must say Ravi Kumar Sasmal is the most reliable travel agent I could find in India. He knows what the tourists want and can cater to their needs very well. Ravi is sincere and he makes sure that his customers are safe all the time. He is knowledgeable about local tourist sites and is fluent in three languages. I would love to use him again when I go for my next trip to India with Ravi India Tours. Comments: We were two 60-something women in India for the first time. We were two 60-something women in India for the first time. Ravi Kumar Sasmal was absolutely wonderful, looked after us extremely attentively and really made our trip for us. He had made all the arrangements including a four night trip to Kerala after our 15 nights in Rajasthan. From the moment he greeted us at Delhi airport with fresh marigold Divali garlands, everything worked beautifully. Ravi was always on time and immaculately presented. There was always bottled water and tissues in the car. We didn\'t really know what to expect but certainly didn\'t anticipate all the fun with would have with Ravi. We really, really liked him and had lots of laughs together. On our first day he took us to his home to meet his wife, Mili, their children Krishna and Sidartha and various neighbours. Mili had cooked a delicious meal for us and it was a fabulous experience and brilliant introduction to India. Although driving in India is a little challenging for UK residents, at no time did we feel unsafe with Ravi - he really knows what he is doing. Although we had excellent guides at the major attractions, Ravi\'s knowledge is good and what was particularly noticeable was that he understood the kind of things that were going to fascinate/amuse us and seemed as enthusiastic as us about ladies carrying pots on their heads, overloaded camels etc. His English is exceptionally good. We can\'t recommend Ravi India Tours highly enough and if we could return to India tomorrow to do it all over again, we would jump at the chance. Thank you so much, Ravi. Comments: I can only recommend Ravi. With best regards and many thanks to Ravi ! 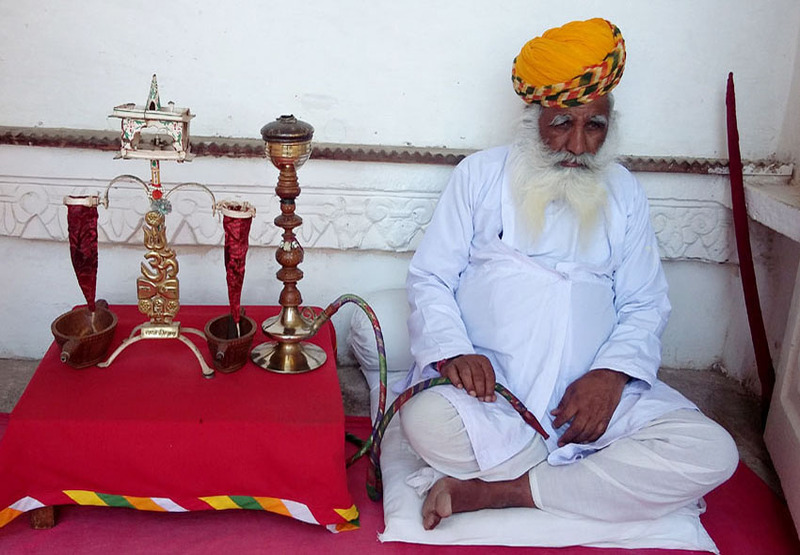 Comments: We had a fantastic tour through Rajasthan with our driver Ravi Kumar Sasmal ! We had a fantastic tour through Rajasthan with our driver Ravi Kumar Sasmal. We visited a lot of places like Delhi, Agra, Pushkar, Jaipur, Udaipur, Mount Abu, Jodhpur, Jaisalmer and more. It was a 2 weeks tour with my father and brother, both dentists. Ravi had a lot of additional information for us, he knows a lot about the sites, hidden places, his country and he loked to share with us. He is a perfect driver, always on time, a perfect clean car and a very good driver with a long term experience. He can also laugh and be funny. Finally I was even privatly invited at his home place in Delhi and saw that he also is a caring father and husband. If you want to make your holiday unforgettable and interesting, he\'s the driver for you. We also purchased a lot of goods and he brought us to the right places to buy, carpets, jewellery etc. Warmly recommended! Don\'t hesitate to contact me personally to know more! Comments: Ravi was consistent in daily activities, site seeing, dinners and always professional. We were two gentlemen traveling to India on business. This was our first trip with Ravi Kumar Sasmal and Ravi India Tours. Ravi was consistent in daily activities, site seeing, dinners and always professional. Ravi will be recommended and used for future trips to India. The vehicle was always very clean and bottles of cold water were plentiful. We will definitely recommend Ravi and his company to anyone when traveling to India. Thank you for insuring we had a great trip. Comments: My sister and I are both college students, and we were traveling in India for the first time. While we were traveling, Ravi took care of everything. We had an awesome tour, and we were able to see many things that we might not otherwise have known about. The tour guides were always very professional, and had a lot of knowledge about the sites they took us to see. The hotels we stayed in were amazing, and Ravi was always waiting for us in the morning with cold bottles of water in the car. I don\'t think my sister and I could have had a better trip! We were able to see Mumbai, Jaipur, Agra, Delhi and Leh, and each part of the trip was made special by Ravi and his planning! While in Delhi, Ravi took us to his home for dinner, and it was a very special experience to meet his family. We loved meeting his wife and children and having the chance to sit down and talk to a family! It definitely enhanced the experience, and his wife is an amazing cook! The trip was very well planned out, and we had the perfect amount of time in each city. We can\'t wait to go back and see India again with Ravi! Comments: In a word, outstanding! Ravi Kumar Sasmal went out of his way to accommodate us during our recent tour! In a word, outstanding! Ravi Kumar Sasmal went out of his way to accommodate us during our recent tour! In a word, outstanding! Ravi went out of his way to accommodate us during our recent tour. When we got stuck in the Delhi airport and couldn\'t make it to Leh (due to weather), Ravi stopped what he was doing, drove to the airport, picked us up, and provided us a personal tour of Delhi for the day. He arranged a hotel for the night and took us back to the airport the next morning. We appreciate such extraordinary service from Ravi! Throughout our experience, Ravi went out of his way to make us feel comfortable. He was well prepared and everything was exactly how it was explained. Everything was clean and comfortable. We thoroughly enjoyed ourselves. We would definitely book a tour with Ravi again, and I highly recommend him to anyone. Comments: He is punctual, professional, flexible, and make every effort to make our trip as memorable as possible! Just came back from a 4 day/ 3 night tour with Ravi Kumar Sasmal, and Ravi did not disappoint! He booked the hotels for us at exactly the price range we asked for, but the properties exceeded our expectations! Ravi is a safe driver who enjoyed getting to know us as much as we enjoyed getting to know him and his country. He is punctual, professional, flexible, and make every effort to make our trip as memorable as possible. When we stepped off the train coming from Varanasi, what a comforting sight it was to see Ravi waiting at the platform, clean car ready at the parking lot, with cold bottles of water! Your service was great, Ravi! And I thank you for taking such good care of us! Best wishes to you and your family. Comments: We had a great trip to Delhi, Agra and Rajasthan India thanks to Ravi Kumar Sasmal and his company! Ravi our tour driver, was helpful, fun and accommodating. We were not always interested in the standard sights and had several ideas of our own, Ravi was flexible and efficient about helping us arrange to see what we wanted. The Toyota Innova Air-condition large private car provided was very clean and comfortable and there was always cold bottled water to drink. We enjoyed every day in Rajasthan and Agra and appreciated the responsive service that made it so easy to accomplish our ambitious itinerary. Ravi made some reservations and some helpful recommendations that also augmented our trip. They are the ones to contact and hire if you are going to this part of India. It doesn't get any better than these guys. Comments: We were so pleased with the first tour we did with Ravi in 2011 that we booked up for another. We have just returned from a two week tour of Northern India, including Haridwar, Shimla, Dhartamsala and Amritsar. Again Ravi was charming, safe, knowledgeable, flexible and arranged everything impeccably. Highly recommended and we would love to use him again for another tour. Comments: Finding Ravi Kumar Sasmal as a driver for my daughter and her friends was like finding a rare gem! Finding Ravi Kumar Sasmal as a driver for my daughter and her friends was like finding a rare gem! I am the proud mother of Ally whose comments are also posted here. When my daughter and her friends were invited to be members of their classmate's wedding party in Chennai they decided to take the opportunity to see Rajasthan as well. They are hardworking medical students who have done extensive international work with underserved populations. They have traveled both with small groups and independently and are used to low budget, no frills travel. In fact, they were busy working in Africa and South America prior to the wedding so I volunteered to prepare their itinerary. I spent endless hours researching travel sites, guide books and forums! Even though they are very experienced travelers I was convinced hiring a driver would be crucial to their having a safe and relaxed visit in northern India. All my research was worthwhile because it led me to Ravi! He could not have been more patient or helpful in helping me arrange for his services. He made the whole process so easy and it was all done via email! I knew the girls were on a limited budget and a driver was a luxury but I am convinced that in the long run they saved money by hiring Ravi. They would have had to spend several more stressful days trying to negotiate transportation, taxis, hotels, guides and finding good meals and still not have been able to see as much as they were able to see with Ravi. He also gave them invaluable tips in how to negotiate various situations so they would not be overcharged. They were able to travel safely, comfortably and efficiently with a wonderful driver who they now consider a good friend. He picked them up and delivered them back to the airport. He introduced them to his lovely family making a personal and lasting memory of their trip to Delhi. From all reports he went above and beyond their expectations and was a skilled professional and yet warm, kind and extremely personable. To put it mildly Ravi got rave reviews! While the girls enjoyed their adventures with Ravi I was able to sleep more soundly knowing he was keeping his promise to me that he would keep them safe and treat them like family. When the girls went to India I had some concerns fueled by recent events in the news. I wanted them to be safe and meet lovely, memorable people along the way, see the beauty of the country and learn more about its history and culture. Ravi made it all possible. Now they have returned and my concerns are for Ravi! I want him to have only kind, considerate and memorable clients! When I first found his site I was impressed that his previous clients offered to answer email questions and I contacted two who had the highest regard for Ravi. # If you have any questions feel free to email me at gjr1225@hotmail.com Many thanks to Ravi and Mili! Comments: Ravi Kumar Sasmal is experienced, reliable, personable, and an expert guide at showing the India he knows and loves. Ravi Kumar sasmal is experienced, reliable, personable, and an expert guide at showing the India he knows and loves. He made our India adventure a truly special one. We were two women travelers setting out to visit the Golden Triangle plus Amritsar and Varanasi. I would definitely recommend a guide for first time travelers and especially for women travelers. The task of planning all the details was daunting until we found Ravi through his excellent reviews. It was one of the best decisions we made. We gave him the cities and the number of days we wanted to spend there and he did the rest, driving us or reserving train or air travel, booking the hotels and arranging for tours with English speaking guides to show us the highlights. He drove us to/from the train stations and to the airport (which was not part of the tour). All this and his pricing was very reasonable. Ravi was always early and arrived with a clean car stocked with snacks and water. He even made sure the windows were clean so we could take photos. He was an expert driver and a pleasure to ride with, always upbeat and friendly. He imparted information on sights, geography, and history; insights on culture and religion; amusing stories and humor and answered our wide range of questions. He took the initiative to stop for photo opportunities and even pulled over to ask a man with a camel cart if we could ride on the cart while he took photos of us. Another highlight was being invited to his home for dinner to meet his wife and children and then walk through his neighborhood to a local marketplace. It was a bonus to meet his family and gain the insight into every-day life. Our tour with Ravi was instrumental in making our journey the amazing and incredible experience it was. He started as our guide but became our friend. I highly recommend him ( RAVI INDIA TOURS ) and would contact him first to assure his availability should I visit India again. 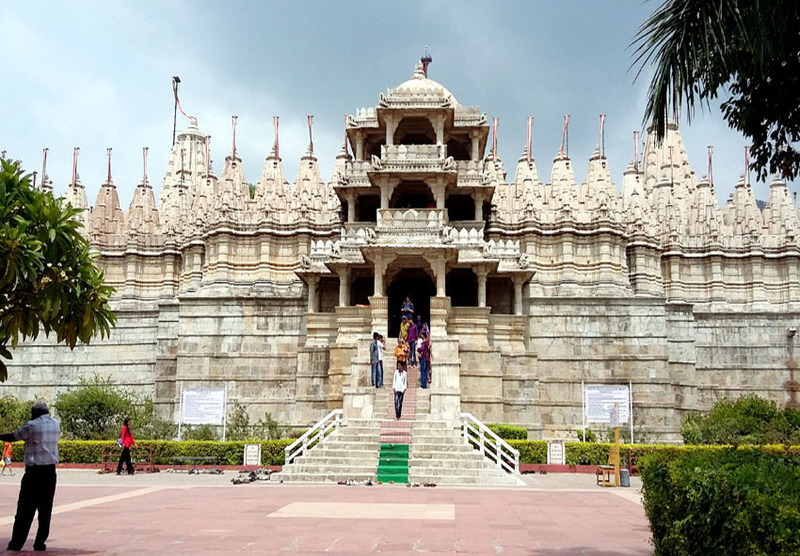 Comments: Two friends and I recently toured the Golden Triangle with Ravi Kumar Sasmal, and we absolutely cannot imagine the trip without him! Even as very experienced international travelers, the three of us thought that as a young (mid 20s) group of females we would feel safer in North India with a guide. Without a doubt, having someone as kind, trustworthy, and personable as Ravi made an incredible difference in our experience. We felt completely safe and well cared for, but at the same we were able to tailor our visit to our budget and travel preferences in a way that preserved our sense of spontaneity and allowed us to feel we had more than a superficial site-seeing experience. Though we had all traveled extensively in many other areas of the world, all of my travel companions and I felt that India presented a unique set of challenges (as well as many unique rewards). Ravi was able to introduce us to the country, orient us, prepare us for specific challenges we faced, and, above all, make us feel we had a friend looking out for us throughout the process. I\'ve always found the cliche to be true that it is the people you meet that make a trip memorable; learning from the kindhearted, soft-spoken, and good-humored Ravi-- as well as meeting his wonderful family-- were truly highlights of my travels. Beyond even being a lovely person to travel with, Ravi is a true professional. The car we traveled in was spotlessly clean, extremely comfortable, air-conditioned, and fully stocked with water. Our itinerary was well-planned and well-executed but also flexible, and the guides Ravi hired were uniformly excellent. Our hotels (which Ravi books himself) were all very comfortable and clean (despite the fact that we were doing the trip on a smaller budget than many). And the food! 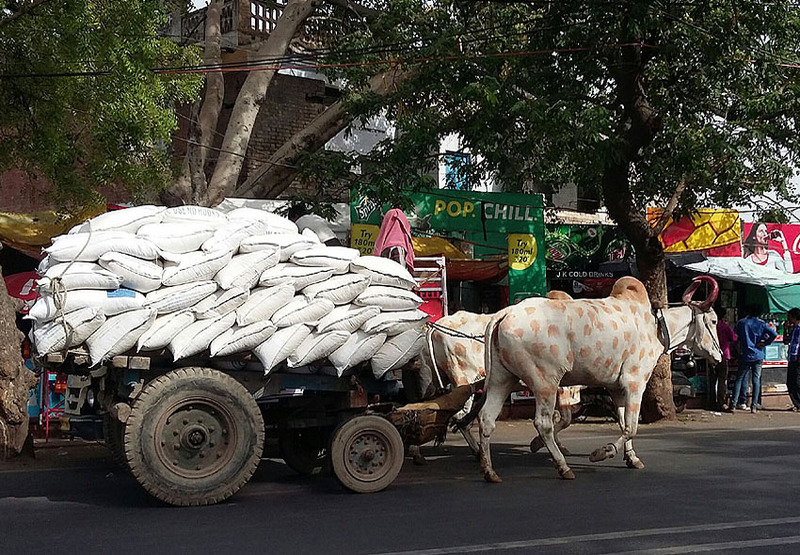 We asked Ravi to direct us to less-expensive food choices to fit our student budget, and he took us to some local places that were by far the best food we ate in India. In short, I would recommend Ravi unconditionally (and in fact already have to several friends. He is an experienced professional and a kind, warm-hearted individual with an incredible story of how he came to start his own tour company. I feel very lucky that the three of us were able to travel with him! Comments: We had an amazing holiday in India thanks Ravi! We had an amazing holiday in India thanks Ravi! When we planed to spend our next holiday in India, we asked Ravi to help us to organize our trip. Ravi was highly recommend to us from our best friend Daniela, that already travelled with Ravi. So Ravi organized us 2 weeks tour in Rajasthan and Varanasi from 23rd march to 7th of april 2013. We had at each nightover very good hotels, every thing was organized in all details, we didn\'t have to worry about anything. Ravi did every thing to make us feel good and relaxed. He is an excellent and very safe driver, that is very important, because to drive in India is a very crazy story... So we were feeling very safe in every situation. Next to his good driving, Ravi is a very honest and respectable person, that you can trust with closed eyes. He is more punctual than a swiss clock, his sense of humor and his good temper made our trip very pleasant. We could ask him a lot of things about India, religion, history, he could always give us very good and interesting information's. He his very helpful and friendly. He also invited us at his home for dinner, so we could meet his wife and is two children. It was a great moment to experience an Indian family, the way they live, their warm welcome, the excellent dinner, the good education of the children! we had a wonderful time in India and we can recommend Ravi and his company ( RAVI INDIA TOURS ) to the most hard to please people! Thank you Ravi! Comments: He is honest and reliable and I recommend him highly!!! Comments: We had a fabulous 18 day holiday touring Rajasthan and visiting the Taj Mahal in Agra! We had a fabulous 18 day holiday touring Rajasthan and visiting the Taj Mahal in Agra with Ravi Kumar Sasmal in October/November 2012. At the start of the tour he took us to his apartment in Delhi to meet his wife Milli and his two children Krishna and Siddhart. Mrs. Sasmal ( Milli ) provided us with wonderful meal. As our driver guide on tour Ravi was very friendly, flexible, informative, knowledgeable, reliable, humorous and polite. Ravi came highly recommended by our friends, Phil and Jenny Perlin who are returning themselves for a second tour with him of India in April 2013. We were extremely pleased with our tour, especially the places we visited, the wildlife Ravi managed to spot on our behalf whilst driving, the hotel accommodation and the price we paid for the holiday. We certainly have already and would in future recommend him to anyone thinking of arranging their own tour of India. If you would like any further information from us, or want to verify this recommendation, please email us, Martin and Sandra Dean, Warwick, UK at mnsdean@btinernet.com. My boyfriend and I have just come back from Rajasthan on an incredible 2 week journey with our very wisely chosen guide, Ravi Kumar Sasmal. We sent requests to loads of companies, all of which were at least 50% more expensive! We\'d done quite a lot of research on the sorts of things we wanted to do and places we wanted to see, but thought we should see what the professionals think. Ravi\'s itinerary came back by far the closest to ours, but with some stunning looking additions, and it didn\'t disappoint! Every beautiful place we were taken, we were given some background on. From the incredible sunset at the Monsoon palace in Udaipur, through the sprawling walls of Kumbhalgarh Fort, all the way to the twists and turns of the Amber Fort in Jaipur, all 1400km we rode in cool, air-conditioned comfort in Ravi\'s Toyota Innova, cleaned spotless every morning, and even during visits to attractions! All in all it was a great choice and we highly recommend Ravi: a great guide, safe driver and a very pleasant and honest person! To find him visit website:www.rajasthan-tour.in . Thank you Ravi for making our stay in India so special!! Comments: My wife and I wish him all the best for his endeavors. Ravi Kumar Sasmal drove my wife and I from Udaipur to Delhi in January this Year (2013). We had him 6 days and 5 nights on the road and then engaged him for another day in Delhi. We travelled in his air-conditioned Toyota Innova. We recommend Ravi highly. He was professional in his conduct. His car was clean (and he cleaned it every morning before he picked us up for the day), the seats wore clean white coverings and the car ran without any protest. Being a keen photographer I really appreciated the clear clean windows. Speaking of that, Ravi very obligingly stopped whenever I asked him to; he even made suggestions about locations, view points and subjects. He was punctual, refused my offers of alcohol and was a very careful driver. He did not push tourist-trap merchants. He suggested an evening musical (without us asking), Mohabbat the Taj, when we were at Agra. We enjoyed this tremendously. He picked us up after the show. Some days he picked us up early too, such as 6.15 am for the Taj Mahal tour. He was not stand-offish but at the same time was not intrusive. He was acknowlegeable about places and local fauna and flora. He was very proud of his family; he invited us to his flat to meet his wife and children where we had a very delicious lunch prepared by his wife. This time we refused his offer of wine as it was early in the afternoon and we had some more sight-seeing to do. As I said above, I recommend Ravi highly. I would not hesitate to engage him again for a future trip. My wife and I wish him all the best for his endeavors. Comments: We HIGHLY recommend Ravi and would be happy to talk with anyone!!! Comments: We toured wonderful Rajasthan together Delhi and Agra in October & November 2012. with Ravi Kumar Sasmal. Comments: We feel extremely fortunate that we found Ravi Kumar Sasmal through Trip Advisor recommendation from some of his guests. We were impressed and delighted by his professionalism , his friendliness, his quick wit and sense of humor. His SUV type car is roomy with a great view, always spotlessly clean and safe. He will go out if his way to learn your interests and likes and provide you suggestions for restaurants and hotels. He was so sweet, even brought me of his own volitolion natural syrup for my bad cough. Our trip was much enhanced by his driving and guidance. I just hope he will not become too popular so we can book him // www.rajasthan-tour.in // again on our next trip. Comments: Ravi Kumar Sasmal is a wonderful asset to have on your adventures through India!!!!!!!!! Thank you my friend and I hope we will meet again. Comments: WONDERFUL SERVICE AND GREAT DRIVER. Wonderful service and great driver Ravi Kumar Sasmal. He has taken us to lots of places not listed in guide book. He was responsible for some of the funniest and most memorable experiences of the trip. he has given us helpful advice and assistance. thank you very much for every think you did for us and making our trip Rajasthan so enjoyable. We would recommend Ravi\'s company to anyone. Client Comments: PERSONAL AND OUTSTANDING TOUR IN INDIA!!!!!!!!! 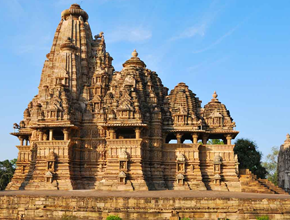 We are traveled with Ravi India Tours throught Rajasthan in October / November 2011. an unforgettable trip with a person witch we did not know before but became in a very short time a friend of us. Everything was so easy thanks to his knowledge, his friendliness and his professionalism. After the very warm welcome at the airport we didn't have to organize anything, not even touch the luggage until to the goodbye before returning home ( very helpful for a trip of three weeks )Ravi Kumar Sasmal knows very much about history, places of interest and the habits in India. Without him we wouldn't meet so many interesting and lovely people on India, downtown Delhi or at the countryside. He loves the nature, animal and the people everywhere. Ravi is also an excellent driver with a long experience, we had never a dangerous situation on our trip even in the Indian way of driving is a little different from ours...We are very happy to have chosen him and we can highly recommend Ravi and his company Ravi India Tours to anybody interested in having a very personal and outstanding tour in India - NAMASTE. Name Ricardo P + Jordi R.
Name Christopher W. & Stpehanie B. Comments: It is with great pleasure that we get to offer our most heart-felt and appreciative recommendation for the great Ravi Sasmal. Ravi is a wonderful and caring person, a knowing and experienced guide, a courteous and fastidious man and is also a spectacular driver (a true artist behind the wheel which we guarantee you will appreciate). He is deeply knowledgeable and caring about his native country, and knows his way around forwards and back. The entire time we we spent under Ravi's care we felt entirely confident in his abilities, his recommendations and his sincere desire for our time in Rajasthan to be as perfect as he could make it. "Rav" took real pains to understand what we were looking for, and we were always impressed that he paid attention to our tastes in every thing from music to architecture to hotels to food ( we have a passion for papaya and found that Ravi would have one for us in his freshly cleaned vehicle most every morning). That's the kind of guy he is, and take it from us who have had plenty of drivers and guides - a gent as fine is Ravi is hard to find! Finally, there is also never any question of trust with Ravi, here is a man you can have complete confidence it and depend on 100%. On time, honest, and never greedy, toy will find him always reliable and on your side. If you are looking for a man to get you around Delhi, through Rajasthan and beyond - look no further, you have found a great treasure in Ravi Sasmal. CW & SB, NYC, 2012. Comments: We are writing this as a recommendation for Ravi Sasmal of Ravi's India Tours. We have no connection with him or his company apart from having him as our tour organiser and driver during our 16 day tour of Delhi and Rajasthan in October 2011. In summary, we recommend him unreservedly and were very pleased with his arrangements for our tour, his flexibility in catering to our needs, his safe driving and his willingness to do extra things. His English is excellent and he was courteous at all times. By the end of the tour he became a friend.. While planning our tour we approached several companies for price quotes and he was the cheapest. We looked at his suggested itineraries and adjusted his suggestions for our preferences. He accepted our suggestions and made some further excellent suggestions of his own. We kept in touch by regular emails and he even telephoned us once to confirm the final details. Of course it is a risk hiring someone in a different country who you have never met and even more of a risk sending money as a deposit. Equally it is a risk for Ravi to accept bookings from people who might never turn up. We sent a small deposit to him by bank transfer so that he could pay for the reservation bookings of the hotels. It was arranged to pay him the balance when we arrived, which we duly did by cashing of the travellers cheques we had taken with us (importing rupees into India is illegal). We were duly met at the airport by one of Ravi's colleagues and our tour began in Delhi. We met Ravi after two days (he was finishing a tour for another guest) and we continued around Rajasthan. The itinerary was altered slightly according to circumstances and we were always asked if we wanted to undertake another activity, or rest, or go to another place. He frequently added suggested activities for our consideration. At all times he would answer our questions about Indian culture, the Hindu religion, his life and family and was very interested in our way of life in Britain. He told us how to avoid tourist scams and when we said that we liked eating at roadside cafes instead of tourist restaurants he happily took us to selected ones for lunch and ate with us. He has a great sense of humour and regaled us with lots of jokes and stories. On two occasions he took us to meet people he knew so that we could see their way of life. At the end of the tour we were taken to his apartment in Delhi to meet his wife Milli and his two children Krishna and Srinath. Milli provided us with a beautiful lunch. Comments: We were fortunate to have Ravi and his company ( RAVI INDIA TOURS / WEBSITE: www.rajasthan-tour.in ) as our driver and tour guide on our trip through Rajasthan in September/October 2011. He looked after us very well and was at all times most helpful and considerate. Ravi is extremely professional, trustworthy and reliable. He knows all the places and roads and navigated us safely through the often chaotic and daunting Indian traffic. He took care of everything. We never had to worry about a thing and could just lean back and enjoy our trip. His cheerfulness and sense of humour were great travel conpanions, too. We have no hesitation in recommending him and his company Ravi India Tours to any visitors. 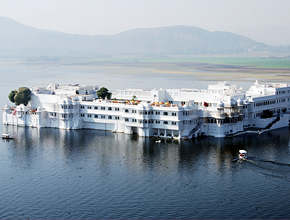 Comments: July/August 2011 I travelled two weeks through Rajasthan with Ravi India Tours http://www.rajasthan-tour.in. Ravi is a very nice and honest person who has a huge knowledge about Rajasthan and India at all. I never had to worry about anything. He organized just everything. Hotels and Restaurants were more than good and his flexibility is just perfect. He drives you safely and very accomplished wherever you want and he always knows your wishes before you tell it. There is always enough time for taking pictures and to rest. I really recommend his services and his person for any Tour in India. If I return to India, I will engage Ravi India Tours again. Comments: It is quite a long time we travelled with Ravi Kumar Sasmal, actually it was in October 2005, he was then just a very good driver of an Indian travel agency, but very soon we realized that he was and probably still is much more than a driver. Without him India would not have been India, his English is very good. by the way neither was ours, but his friendly attitude, his helpful knowledge of how the way it goes in this vast country makes a trip with him an unforgettable experience. Meanwhile we have traveled all over the world, but INDIA still is a brilliant jewel in our necklace of travels due to his excellent guiding and driving. It is a pleasure for me to listen that meanwhile he has founded his own small company and I can recommend with all my heart his services. 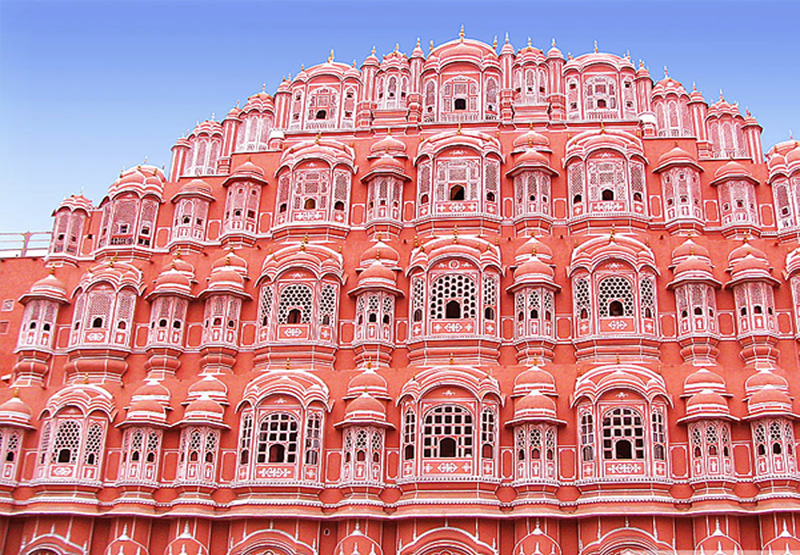 Comments: Wir sind zur Zeit unterwegs durch Rajasthan und sind zutiefst beeindruckt: Die Freundlichkeit der Menschen, die Farben, die Architektur, das hervorragende Essen etc. Ravi Kumar Sasmal / RAVI INDIA TOURS. hat diese Reise organisiert und bisher klappt alles hervorragend. Die vielen guten Tipps sind Gold wert! Comments: "I traveled with Ravi Kumar Sasmal ( Ravi India Tours ) from Delhi to Agra on 29th Jan 2011; the trip was made very pleasant by Ravi who spoke very well english; showed me places from Delhi to Agra; thought of my comfort and arranged a very good guide from Agra. I would recommend him to anyone wishing to travel by car from Delhi." Comments: In early 2010 we spent a month with Ravi travelling in Rajasthan and Gujarat. He\'s an excellent and considerate driver, but he\'s also extremely well informed about all aspects of Indian life, culture, history and geography, and he shares this knowledge with his clients ina very engaging and entertaining manner. In addition to this he is a tremendously likeable travelling companion, endlessly attentive to the visitor\'s needs and wishes, solving whatever little problems come along, and finding ways to make their trip even more interesting and enjoyable than the itinerary promises. He takes you to amazing places that the tour operators don\'t even know about, and introcuces you to extraordinary people there. 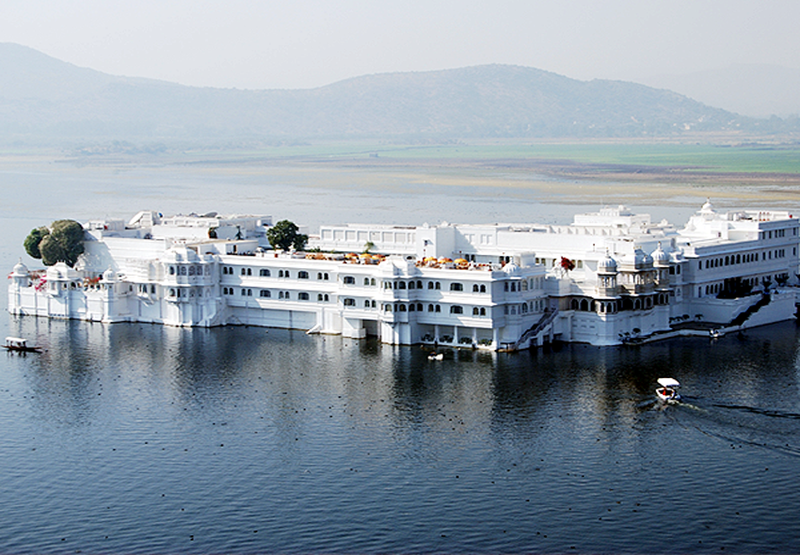 You could not wish for anyone better to show you the real Incredible India. . Comments: Mr. Ravi Kumar Sasmal was our driver and guide during our Rajasthan tour between October 30 2010 and November 14 2010. Ravi is a gift of heaven! Trying to express in words: Rich and honest personality; funny and enthusiastic; can read your wishes; strong feeling for timing and resting; extraordinary care for details such as clean car, 24-7 service for water, fruits and biscuits; pleasing and safe driving; extraordinary car-stops for pictures and real Indian-life experiences. Ravi speaks a very clear and understandable English and surprised us every day with his anecdotes about Indian every-day-life, geography, history and religion. A real gentleman who goes \"the extra mile\"! In the end...be prepared to miss him ones you finished your tour! Comments: We very much enjoyed a 2-weeks tour through Rajasthan in 2010 where Ravi was our driver. In fact, Ravi was not only an excellent and careful driver, but he also was a competent and knowledgeable guide and a perfect organizer. We can thus very warmly recommend the services of Ravi to everybody who intends to travel in India. Harald and Lisa . Comments: Mr. Ravi Sasmal was extremely professional and courteous. He took me on a day tour of Delhi, and we visited all the major sites and some special requests. He is very knowledgeable and a good companion as well as a safe and conscientious driver. I highly recommend his services. Comments: We were travelling along the rajastan with ravi for 10 days and it was incredible. For us, the best way of knowin that incredible part of the world. The distances are huge, but with that air conditioning car, they make smaller. The best thing: Ravi, the driver. He speaks a very good english (not everyone in India does, as it\'s thought)Other tourist told us that their drivers used to be kinda cheating people, and always tried to eat and dinner for free. Ravi always let us freedom to do whatever we want, and he werent with us all the time. He just dropped in the hotel and let us discovered India with or own eyes. At the end of the trip. he invited us to have dinner in his house with his family. Highly recomended. jaime and rocio. Spain. Comments: My wife and I travelled the Golden Triangle January last Year and were fortunate to have Ravi as our driver and guide. He was always there and most helpful and considerate and extremely informative on both the geography and culture of the region. We wholeheartedly recommend Ravi. Comments: Ravi was great! He was our driver/tour guide few Years back. We all had a great time and he was very professional and accommodating with our needs. I highly recommend him! Ravi, I hope to be able to visit other part of India again in the near future and will like you to tour us again. Comments: We went to India in December 2008 and Ravi drove us through different cities: New Delhi, Jaipur, Agra, Varanasi, etc. for a week, and also help us find very nice hotels at affordable prices. He is a very nice person, an excellent driver and he knows all the places and roads very well. We never had to worry about leaving our bags in the car with him, he is very trustworthy. If you are lucky you may meet his family, very warm people, who made our experience even more authentic. He gave us an amazing services. 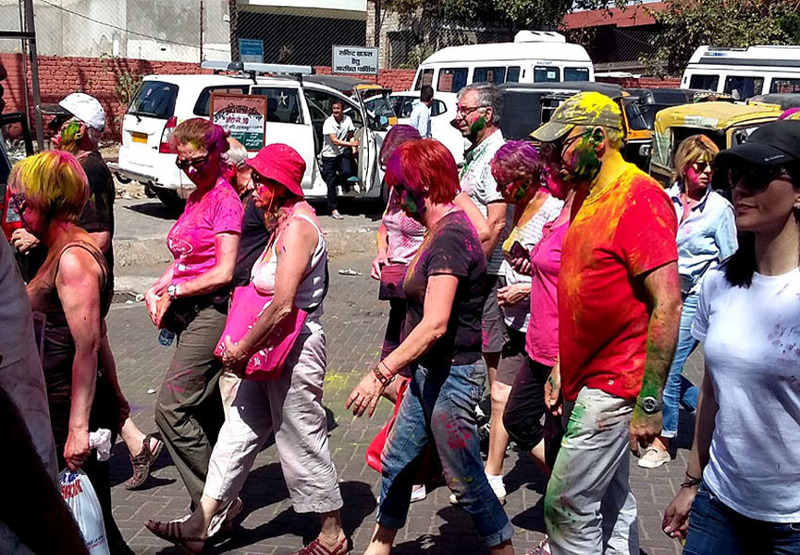 Comments: Best tour company I had cheap and the best Ravi got vast knowledge about Indian culture and history Ravi is too good We planning to have another tour with him around India Thank you Keep looking after the customers like this. Comments: My wife, who is a magistrate, and I were driven by Ravi for three weeks in 2007 around Rajasthan. He was an excellent driver and we always felt safe with him. He is considerate, totally honest and a nice man. We cannot recommend him too highly. @ Ravi India Tours, Designed by Indian Designrs.Inc.